Bankruptcy including Chapter 7's and Chapter 13's. A Chapter 7 is a complete liquidation of all the debt which is dischargeable. A Chapter 13 is a reorganization of your debt where you make a planned payment based on your disposable income over a period of time. 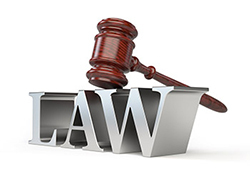 Employment Law including employment discrimination, retaliation, unemployment compensation, harassment, non competition agreements and employment contracts. Personal Injury including automobile accidents, wrongful death, slip and falls, and other liabilities. Immigration Law including the "Dream Act," Green Cards and Citizenship. Our immigration attorneys speak fluent Spanish. Probate including Wills, Trusts, and Estate Planning. Foreclosure Defense including mortgage modifications, mediations, short sales, and deed in lieu of foreclosures. Additionally, at a total cost which is approximately equivalent to a one month mortgage payment, we can protect your interests to make sure the bank or mortgage holder is doing everything to the letter of the law, and to give you the time necessary to address your finances under your terms. Contracts including contract drafting, negotiations, and litigating contract terms, good faith clauses and non compete restrictions. Corporate Formations and incorporations in any State including articles of incorporation, registered agent services, and shareholder agreements. We can also assist on other areas of law by drawing from our resources from our Melbourne / Orlando office on a case by case basis. We promise to return all calls or email communications within one business day of receipt. We promise no unnecessary surprises. Our costs and fees, if they are charged, are always well documented. We promise to treat you with respect and courtesy at all times. We promise to tell you accurate information about your case and your chances at prevailing. We promise to pursue your best interest to the best of our abilities at all times. Our law firm is AV rated, and the managing partner, Maurice Arcadier, is board certified in labor and employment law. In Florida, what are the non probate assets? what is the employer�s obligation to make the FMLA known to the employee and offer such FMLA leave to the employee. I had an Oral Contract but now my ex friend is not honoring it. What can I do? I have no money. Is the Bankruptcy Consultation Free?